The whole life of Winston Churchill, one of the greatest dictator and statesman Britain has ever seen spans across the two world wars along with the Cold War and the downfall of the British Empire. Interestingly, not only did these events coincide with his lifespan, but he also took active part in all these historical events. 1874 - November 30 - Winston Leonard Spencer Churchill birth took place at the Blenheim Palace in Oxfordshire. 1888 - Churchill joins Harrow School. 1893 - Winston enters the Royal Military Academy located at Sandhurst. 1896 - Churchill is sent to India as a young cavalry officer. 1897 - Winston involves himself with the Malakand Field Force, which was stationed at the North West frontier and was fighting with the local tribesmen. 1898 - Churchill takes part in a regimental cavalry charge with the 21st Lancers in the country of Sudan. 1901- Winston Churchill is appointed at the House of Commons. 1940 - Winston Churchill is made the Prime Minister of the United Kingdom after Neville Chamberlain resigned from the post. 1943 – Franklin D. Roosevelt came down to meet Winston Churchill by air, becoming the first ever American President to do so. 1943 – Roosevelt and Churchill along with Soviet Union Leader, Joseph Stalin met at Tehran to discuss the World War- II strategy. 1945- Churchill resigns as the prime minister of Britain when his Conservative Party loses the election to the Labor Party. 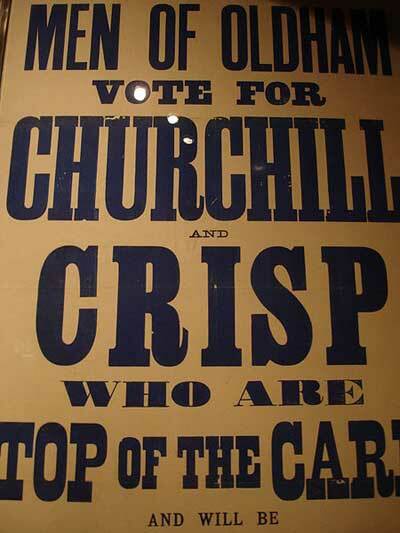 1951- Winston Churchill is again elected as the British Prime Minister. 1952 – Churchill made the announcement that his country houses an atomic bomb. 1955 - Winston Churchill resigned from the post of the Prime Minister. 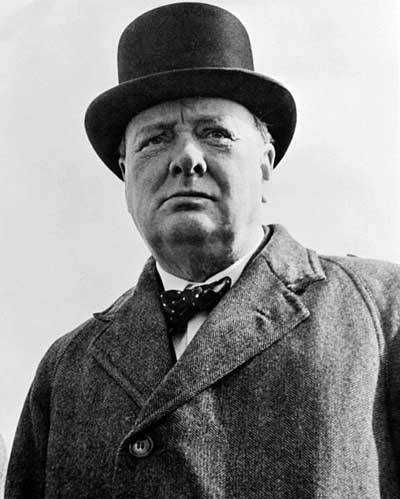 1965 – Winston Churchill passes away for suffering stroke on January 15. It is evident from his timeline that Churchill led an active and fulfilling life. Sir Winston Churchill, born on November 30, 1874 at Oxfordshire, was the eldest son of Lord Randolph Churchill. He is famous as one of the most aristocrat and able Prime Minister of the Great Britain. But it is an irony that even though the world considered him as a great orator, he suffered from speech problems as a child. It was his sheer determination that made him overcome this problem. More..